Rising junior Sadie Spivey has been named as the recipient of a 2017 Summer Erickson Discovery Grant. The grant program, named in honor of Penn State's seventeenth president, Rodney A. Erickson, supports undergraduate stude nt engagement in original research, scholarship, and creative work under the direct supervision of a faculty member. She studies in the studio of voice faculty member Jennifer Trost. Sadie's grant will support her project titled "Peacock Pie: Preparation and Performance of a New Vocal Work," in which she will prepare songs from a new song cycle by composer Scott Eggert, using texts from children's poems by Victorian author Walter de la Mare. She will work directly with the composer in preparation for a performance on September 10. Sadie is pursuing a double major in voice performance from the School of Music and a degree in acting from the School of Theatre. 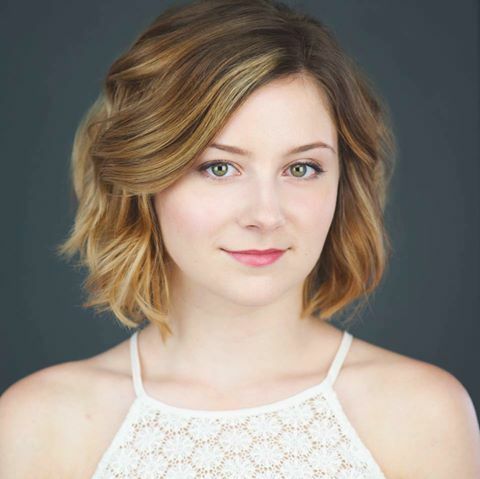 She is a member of the Concert Choir and was recently seen in the School of Theatre's productions of “Twelfth Night” and “110 in the Shade.” She received Voice Jury Honors in spring and fall 2016, Jury Recognition in fall 2017, and was named the 2017 winner of the Margot Bos Vocal Award which supports excellence in vocal performance. From State College, PA, she is the daughter of Norman Spivey and Joyce Robinson.